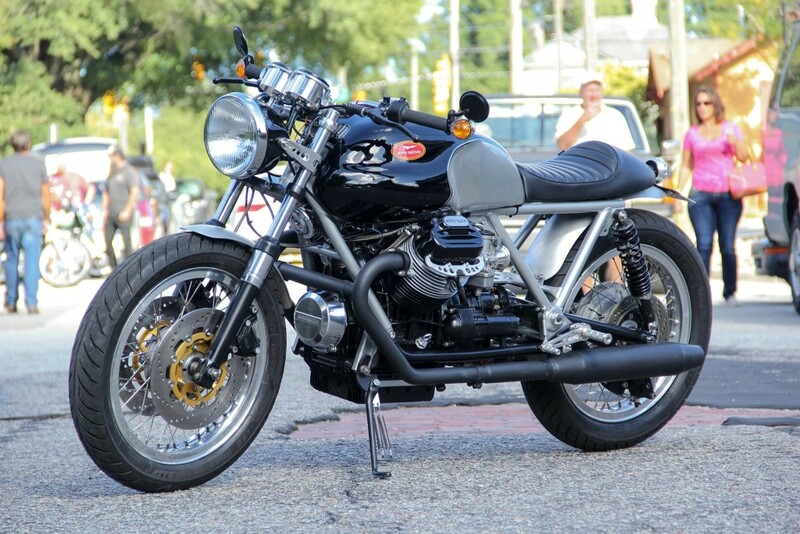 Today, we are hugely excited to showcase the bike that won Best in Show at the 2016 Cape Fear Kick Down in our hometown of Wilmington, North Carolina: this 1975 Moto Guzzi 850 T built by Johann Keyser of Raleigh’s Moto Motivo and owned by James Aswell. The incredible photography is by Mel Streeter of Streeter Octane Photography. 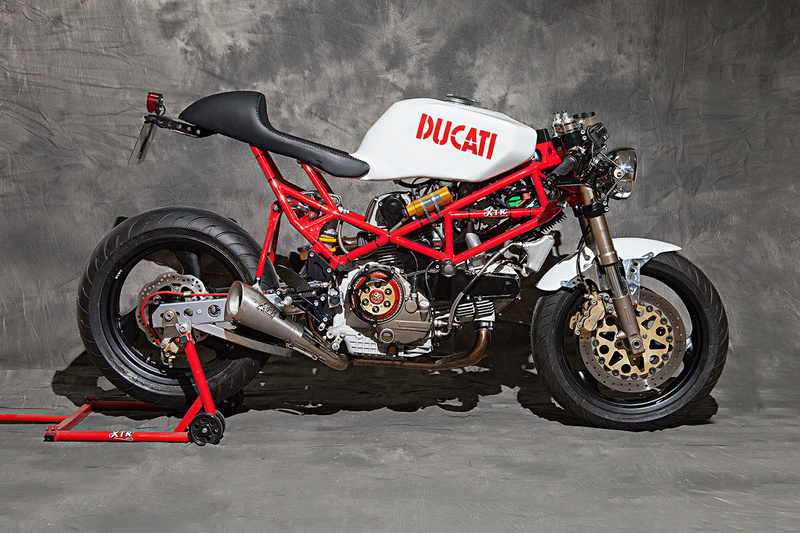 Johann Keyser grew up on a farm in South Africa, where he rode motorcycles from the age of 7. 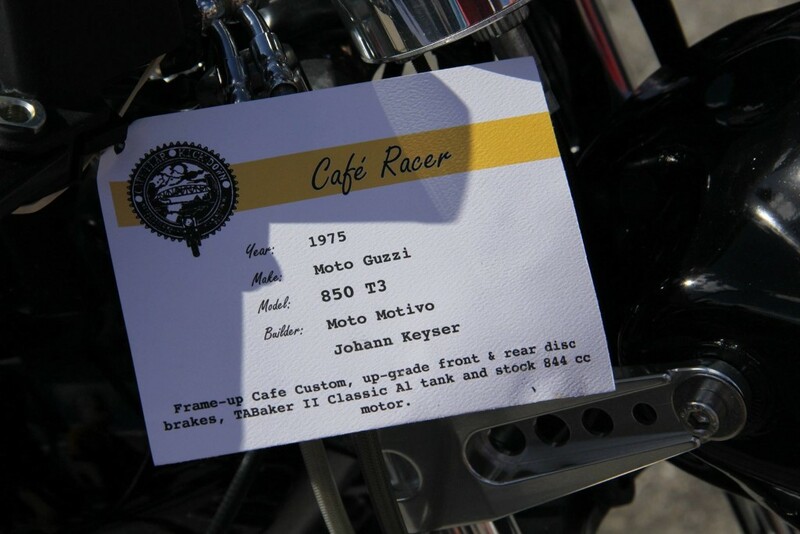 He did Foot up Trials in SA and was even sponsored by the Italian motorcycle company Fantic Motor. He moved to the USA in 2005. 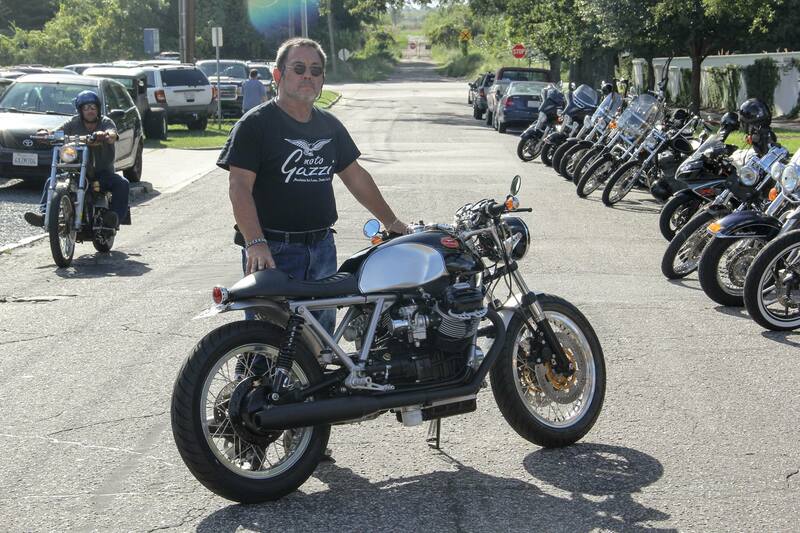 Working on motorcycles was a hobby for him until 2009, when his main business slowed to a near standstill, and building bikes became his full-time career. He’s also the sole importer and distributor for the CAV GT (Ford GT40 replica) from SA — whoa! 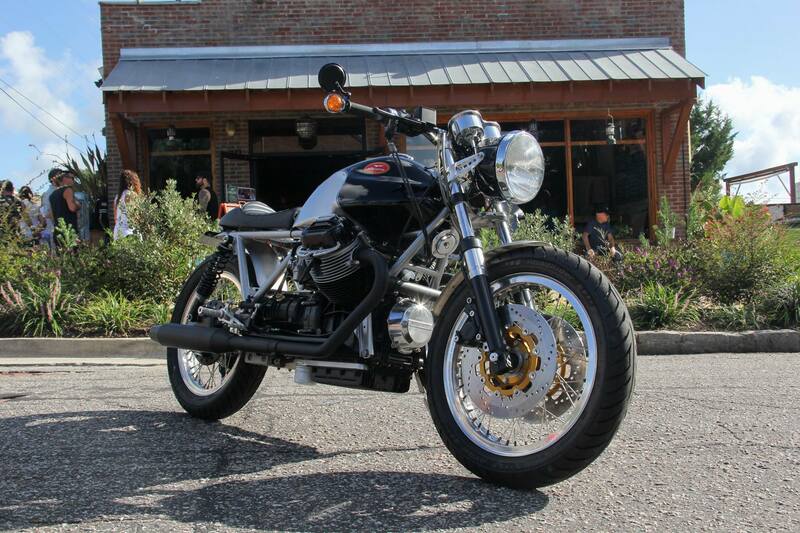 Owner James Aswell with his 850 T.
Below, we let Johann give you the full scoop on the build. 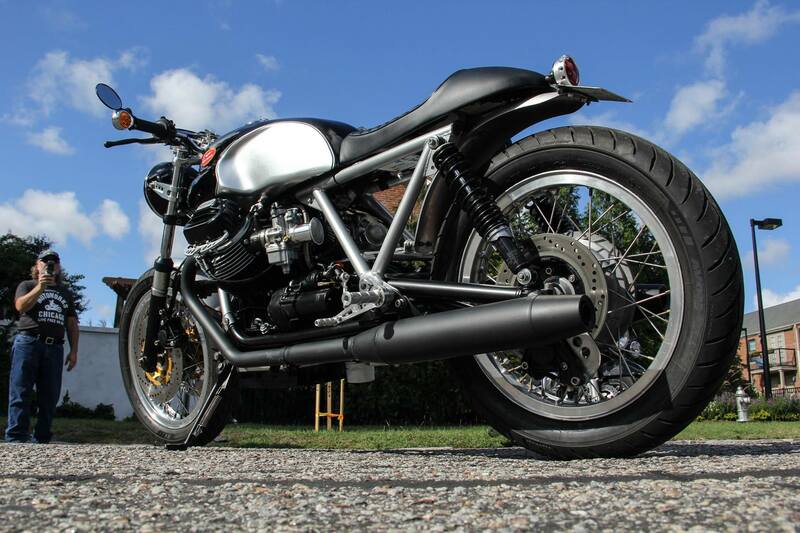 The Moto Motivo Moto Guzzi is a 1975 Moto Guzzi 850 T. Build time was 3 months. The bike was originally earmarked for me, but the current owner saw it in my shop and fell in love with the design idea and decided to add the bike to his collection of motorcycles. 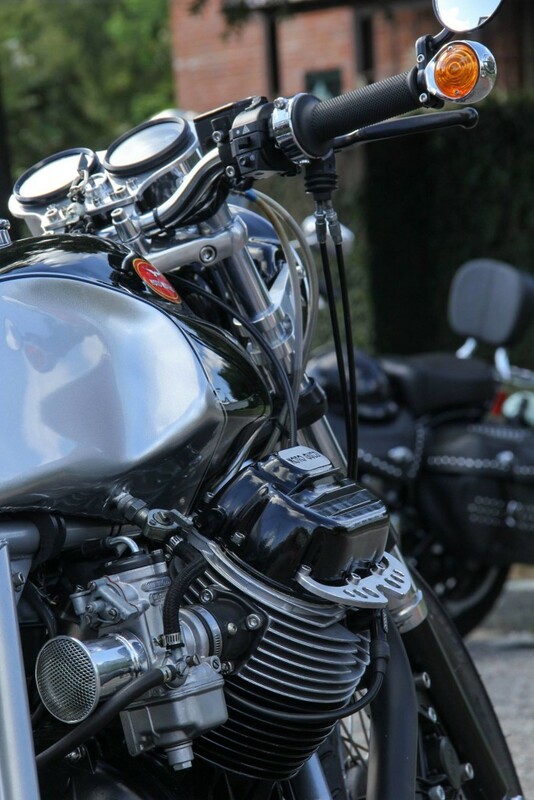 The design had to be very clean and classic with higher handlebars, not clip-on bars. I wanted to use as many as possible “period correct” parts in the build. I was also looking for a monochromatic look. I love all the changes, but the tank and color scheme has to be my favorite. Custom, handmade mudguards front and rear. Custom hand-formed aluminum fuel tank. 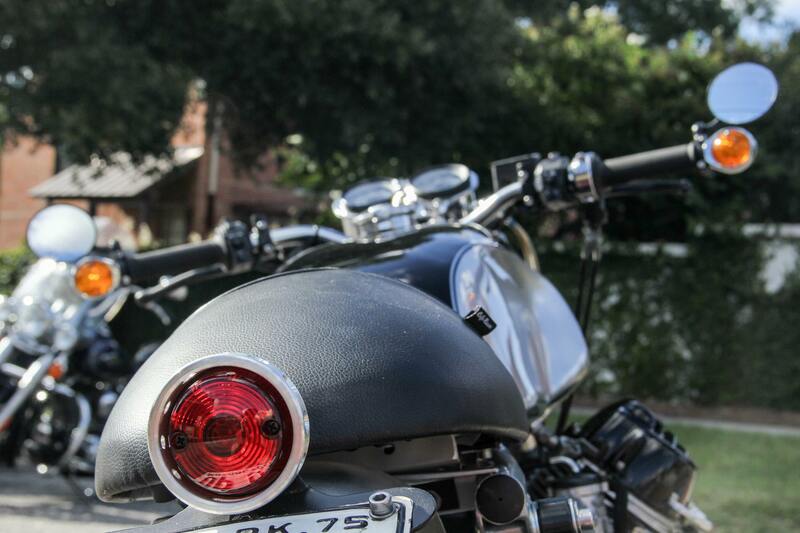 Billet aluminum rear sets, cylinder head guards, instrument panel and chassis stiffening plate. 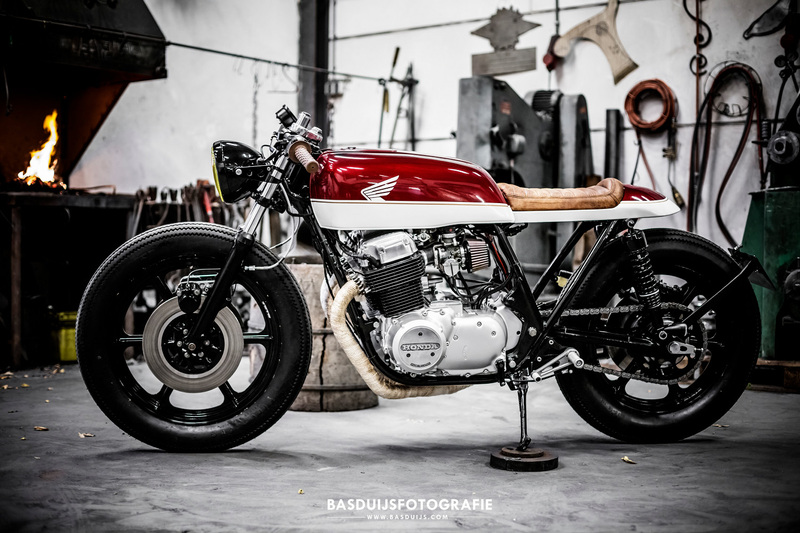 Custom Paint by Johan’s Motorcycles. (Also ex SA) He paints all my bikes. Custom tank logo by my friend Rob at Tapeworks. The battery was moved to a new location under the bike, just behind the transmission. The frame was shortened at the rear. Digital ignition replaced the old points and condenser system. 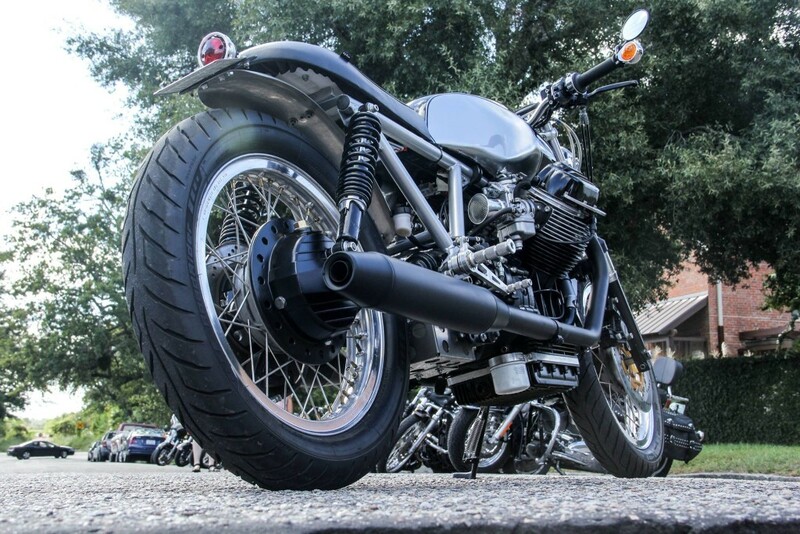 Rear drum brake was replaced with a disc brake from a later Moto Guzzi 850 T3. Billet aluminum rear sets were fitted. Instruments were removed from the original bracket and holders and re-fitted in a billet aluminum unit. 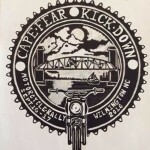 The inaugural Cape Fear Kick Down took place at Satellite Bar & Lounge on September 16-17, 2016. The rally raised money for the Wilmington Prostate Cancer Support Groups and to the Movember Foundation, which tackles prostate cancer, testicular cancer, and mental health and suicide prevention. 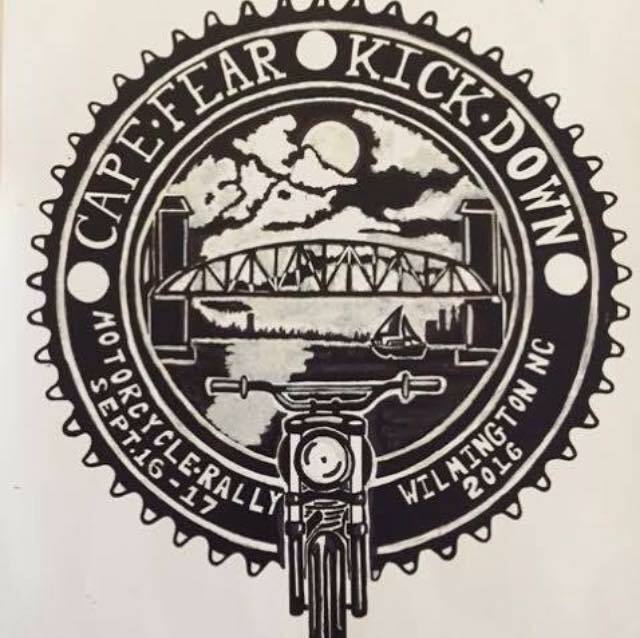 Along with the next weekend’s Distinguished Gentleman’s Ride, the Wilmington riding community managed to raise more than $7000 for charity! If you live anywhere in the Carolinas or Virginia, please consider coming down for next year’s event. 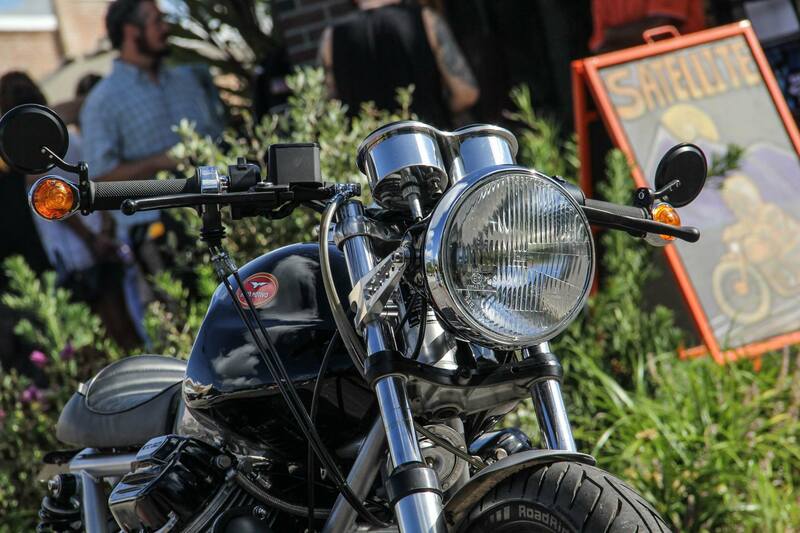 Bike Show Winners, with special thanks to Jeff Bridgers of Brick + Mortar Coffee & Goods for making the prizes! Bobber: 2003 Harley Softail built by Rusted Iron and owned by John Carter. Cafe Racer: 1975 Moto Guzzi 850 T built by Moto Motivo and owned by James Aswell. Tracker/Scramber: 1972 Honda CL175 owned by Dennis O’Keefe. Undefinable: 1982 Honda CB900 built by Racing Smith. Thanks to the judges: Perry Steed, Fred Bjorkland, Danny Sullivan, and Shawn West.